Over the course of the year, Americas Society and Council of the Americas (AS/COA) host heads of state from the Western Hemisphere at our offices in the United States and in cities across the region as part of our Presidents of the Americas series. In recent years, we have hosted presidents from Argentina, Brazil, Chile, Colombia, Costa Rica, Mexico, Panama, Peru, and Uruguay, among others. The Series' programs include public forums or private AS/COA member-exclusive meetings, convening business leaders and leading policymakers to discuss the political, economic, and investment outlooks of their countries. Click here to learn more about the AS/COA corporate membership. 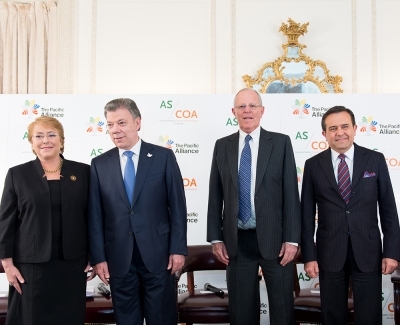 AS/COA hosts heads of state from the Western Hemisphere at our U.S. offices and in cities across the region as part of our Presidents of the Americas series.